"Reunion of the Jewish Community ofSheboygan"
We declared the reunion a success with 230 people in attendance at this sellout event! Email bethelsheboygan@juno.com to be placed on the list for emailing and let us know whenyou think we should have another reunion. 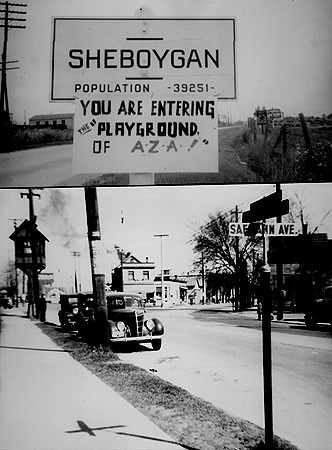 What Happened to the Jews of Sheboygan? Sheboygan, Wisconsin is located on the western shore of Lake Michigan, 50 miles North of Milwaukee, Wisconsin and 140 miles North of Chicago, Illinois. It is a city of about 50,000 people today (1997) and was about that size for at least the past 50 years. It was settled in the 1800s primarily by Dutch and German immigrants. In the 1880s, the first Jews arrived from an area about 100 miles east of Vilna, Lithuania. Over the next 30 years, or more, the word spread back to that part of "Russia" that there was relative freedom and good opportunities in this small town, and a number of Jewish families immigrated to Sheboygan. These were religious Jews, who brought their Orthodox ways with them, established at least three synagogues, religious schools, etc. In a sense they reestablished their Eastern European shtetl life in this town in the upper Midwest. Most of the Jewish families came from a small area to East of Vilnius (Vilna), North of Minsk, and West of Vitebsk around the towns of Lepel, Boriosov, Kamen, Krasnoluki, Karalina, Beshenkovichi, Kublichi, Polotsk, Ulla, Vitebsk and Dokshitz in the region that today is Belorus. (Sallyann Amdur Sack, co-editor of the Jewish Genealogy quarterly Avotaynu, wrote in March 1999 that "most of the [Sheboygan] settlers were from Vitebsk guberniya [now Belarus] from Polotsk, Disna, Drissa, Kublichi.") 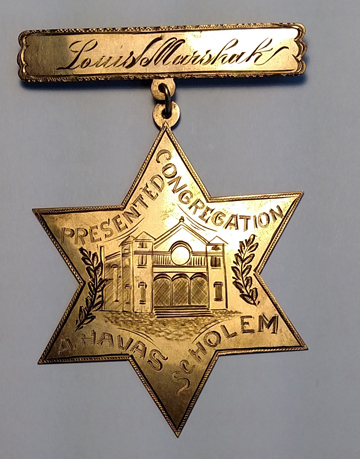 Interestingly it was recently discovered that a group of Jews from the same region went to and helped form the Jewish community London, England, so there are many relatives in the two communities. The community prospered, with the immigrant generation becoming workers in the towns factories, and also trades people. The first American generation became shop owners, many becoming grocers, and spreading out into the Wisconsin countryside. They prospered and had families. Their numbers grew to several hundred families, and supported a vigorous communal life. Their children, those who grew up in the 1940s and 1950s, became more Americanized and sought higher education. Many eventually moved to the nearby larger city of Milwaukee and beyond. Many of us who have fond memories of our youth in Sheboygan and trace our roots there, are active citizens in cities both close to and far removed from that quiet clean little city on the shores of Lake Michigan. Today, there remains only one conservative synagogue, Beth El, with a small and shrinking older Jewish community with an average age of about 70. This seems to be the fate of many of the Jewish communities in smaller towns, and is repeated all over the United States. Today, as the Milwaukee Jewish community moves into Northern suburbs of Milwaukee including Mequon, Sheboygan does not seem so far away anymore (less than a 40 minute drive). There are a few young Jewish couples moving to Sheboygan, and so the future looks brighter for the Jewish community of Sheboygan. Occupied as a synagogue in 1903, raised in 1975. First built as St. Mary Magdalene, the first Catholic Church in Sheboygan sometime before 1871, it became the home of the first Jewish synagogue in 1903. To be included when a photo is located. Please notify Joel Alpert (email at the top of this page) if you can help! Built in 1918, raised in ?? From Historic Sheboygan County by Gustave Buchen page 307-309, published in 1944, and updated and revised in 1975. Aaron Zion, probably the first Jew to settle in Sheboygan, opened a millinery shop on North 8th street. Shortly afterward Sol Rosenbaum, a clothes peddler and Joseph Buntmann, a fruit merchant were the next Jews to settle in the town. 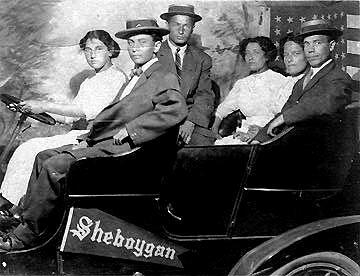 Nearly all the Jewish immigrants to Sheboygan came from a region of Russia that is today part of Belorus, where they lived in small towns and were merchants, tailors, shoemakers, money lenders, and dealers in grain, cattle , furs and hides. They came mainly to improve their opportunities and economic conditions. Usually the man of the family came first by himself, and then earned enough money to bring the rest of his family. Many started their lives in Sheboygan as itinerant peddlers with packs on their backs and ultimately opened small businesses. Herman J. Holman who came to Sheboygan in 1890, together with his uncles Nachsun and Michael, who immigrated in 1889, first worked as tailors. Herman opened his own shop for tailoring, cleaning and pressing in a building on North 8th Street. Several years later he opened a junk peddling business on the south side. 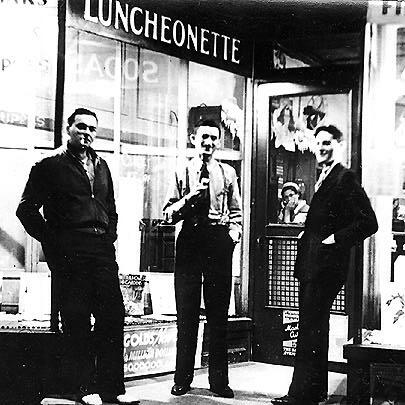 Ultimately he had a building erected at South 14th Street and Broadway and started a dry goods business, with his wife operating the store, and he continued with the junk business. In a small shed next to the store he opened a small factory and installed a cutting table and a number of sewing machines to make pants that he sold to local retail stores. In 1902 he and his brothers Aaron and Harry started an overall manufacturing factory on Michigan Avenue, however the venture was closed after a year. In 1906 he opened a factory on Calumet Drive, which he named H. J. Holman & Sons. In 1925 the business was moved to a large factory at South 14th Street and Alabama Avenue and renamed the Lakeland Manufacturing Company. Aaron Holman founded the Reliable Shirt & Overall Company on North 15th Street and Harry Holman started the Holman Manufacturing Company on N. 13th Street. Sheboygan Jews remained strictly orthodox in terms of their religious practice, in compliance with the practices that they brought from Russia. This was in contrast to the reform Judiasm practiced by some Jews of German descent in nearby Milwaukee (50 miles south of Sheboygan). There were three synagoges, Adas Israel, Ahavas Sholem and Ohel Moshe. Adas Israel, the oldest congregation, which was started in the home of Nachsun Holman on North 8th street near Bluff Avenue in about 1890. The first synagogue building was a small house, and then moved to a larger building both located on North 8th street. 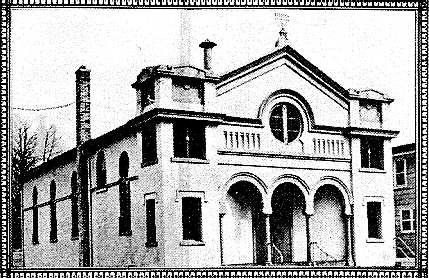 The building was moved to North 13th street and Carl Avenue in 1907 and was used by the congregation until about 1975. Ahavas Sholem was first located in a wooden building on Michigan Avenue just east of North 8th street and in 1903 was moved to 13th street and Geele Avenue, where it remained until 1975 (see photo above). Ohel Moshe, founded in 1920 had its synagogue located at North 15th street and Marie Court. 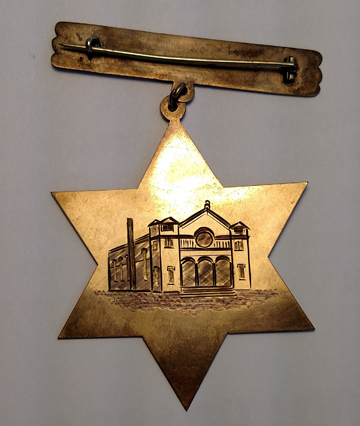 The Jews of Sheboygan created an amazing number of social and fraternal organizations. The oldest was a mutual benefit society, called the Western Star. The Jewish Workman's Circle (Arbeiter Ring) was founded in 1914(?) (30 years before this publication) There also is a chapter of the B'nai B'rith, one of the largest Jewish organizations in the US and the world. This chapter is called the Davis Lodge, after Herman Davis, one of it founding fathers, and was created in 1919. In 1925 a junior Jewish organization for young men, called A.Z.A., was formed. From the founding of the Jewish community until the 1960s most of the Jews lived in a neighborhood ion the north-west side of Sheboygan in the vicinity of Geele Avenue (see map above). This was because William Schaetzer, the original owner of the subdivision, who encouraged them to settle there and offered them favorable terms of purchase. There were about 175 Jewish families in Sheboygan at the peak there were about 150 familes. Within the decade before this publication, many have started to move to Milwauk ee and some to northern Wisconsin. Information provided mainly by George Paykel, George Holman and David Rabinovitz. I just discovered the Sheboygan website and enjoyed it thoroughly. I live on North 13th street in the heart of what was once the Jewish neighborhood. I'm writing about the section entitled 'Synagogues of Sheboygan." There is a picture of a synagogue on 13th and Carl called Adas Israel (The White Shul) with the legend "built in 1910,raised in?" I believe that the building currently on that site, now a church, is the original synagogue, at least in part. It may have been remodeled or built on to. I say this for the following reason, I notice that their is a large circular window on the building in the picture. The church still has a large circular window with a nondescript, nonreligious stained glass window. However on the west side of the church facing the neighborhood and 15th street is a stained glass window containing a Star of David. The room upstairs in the church that has the Star of David window was being used as storage,and in that room is a large circular stained glass window with another Star of David on it that I was told used to be in the front of the church. I was also told by a former minister from that church that the building was originally a synagogue. I hope this information is useful to you. Refer to the Booklet commemorating the 20th anniversity of the dedication of Beth El Temple for photos of many of the original families. Please enter your family names andyour name on the JewishGenFamily Finder (JGFF) for Sheboygan,Wisconsin and the shtetl from which they came (if you know it). Youcan find other reserachers below by searching JFGG. This family photo of Mordechai Moshe (Max), and his wife, Sarah Riva, and their daughters, Simcha Hana (Sophie), Leah (Lee), and Frieda, Gollman, was taken shortly after their arrival in Sheboygan, for the purpose of proving to the grandparents that the family was live and well in the new world. Today the great-grandchildren of Max and Sarah Gollman live in Milwaukee, Omaha, Boston, Fairbanks, Alaska, San Diego, and Los Angeles. Thanks too to the late Mayer Alpert for helping. For further informationabout the Cemetery, please contact the Beth El Synagogue inSheboygan. Text and photos of the cemetery are planned to be included. Researchers should note that they have a rare opportunity to research their own family histories by going into the Registrar of Deeds at the Sheboygan County Building in downtown Sheboygan. You will have direct access to the doucments of Birth, Death, Marriage records of your ancestors and can make copies of the original materials. The clerks in the office are most helpful and courteous (as we would expect from Sheboygan folk). Next time you are in Sheboygan, make this stop and take advantage of a great opportunity to do original genealogical research on your family. I received from Leonid Guryevitch, a citizen of Lepel (tel. +375-213248293) a list of the Jews of Lepel who were killed by the Nazis. The Germans took over Lepel July 3, 1941. A ghetto was made on the outskirts of the town for all the Jews who were left. On February 28, 1942 the ghetto was liquidated. A memorial stone was put up at the site, next to the town of Chernorutchye, 8 km. south of Lepel, on the right side of the road Vitebsk/Minsk. The following is a list of Jewish victims of the Nazis from the shtetl, Kamen (distance of 18 km. from Lepel), which I received from Leonid Guryevitch, a citizen of Lepel (tel. +375-213248293). They were shot on October 17, 1941 on the outskirts of the town of Borki. A monument was erected on the site.